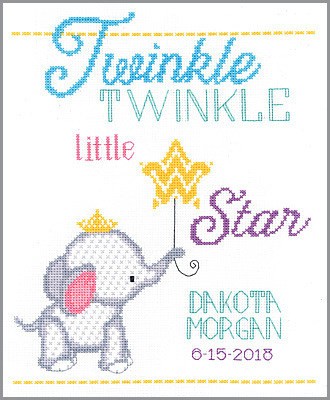 Our adorable and quick-to-stitch birth sampler by Jennifer Pugh is sure to become a family keepsake. Each kit includes 14-count white cotton aida, 6-strand cotton floss, needle, chart and instructions. Finished size is 9" x 12"